Goddess of Fire is a 2013 South Korean television series starring Moon Geun-young, Lee Sang-yoon, Kim Bum, Park Gun-hyung, Seo Hyun-jin, Jun Kwang-ryul, Jeong Bo-seok, Byun Hee-bong, Han Go-eun, and Lee Kwang-soo. It aired on MBC from July 1 to October 22, 2013 on Mondays and Tuesdays at 21:55 for 32 episodes. The Korea National Ballet is a South Korean ballet company. It was founded in 1962 in Seoul as the National Ballet Company. It was one of the affiliates of the National Theater of Korea until 1999, when it separated to independently reestablish itself in the Seoul Arts Center in the following year. 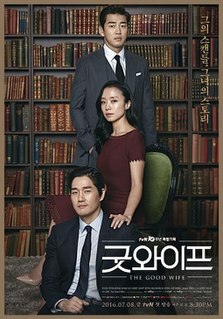 Vampire Prosecutor is a South Korean television series, starring Yeon Jung-hoon, Lee Won-jong, Lee Young-ah and Kim Joo-young. 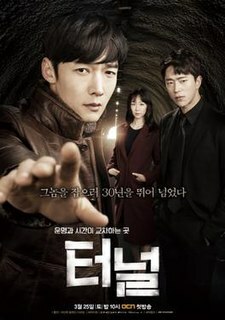 The crime procedural drama tells the story of a prosecutor who hides his identity of being a vampire and solves crimes with his special powers. Padam Padam is a 2011 South Korean television series starring Jung Woo-sung, Han Ji-min and Kim Bum. The romance/fantasy series was written by Noh Hee-kyung, and the title is a reference to a 1951 French song by Edith Piaf, an onomatopoeia expressing the sound of a heartbeat. It was one of the inaugural dramas on newly launched cable channel JTBC, and aired from December 5, 2011 to February 7, 2012 on Mondays and Tuesdays at 20:45 for 20 episodes. Ji-min, also spelled Jee-min, is a Korean unisex given name, predominantly female. Its meaning differs based on the hanja used to write each syllable of the name. 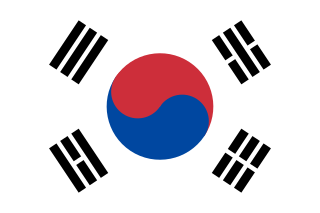 There are 46 hanja with the reading "ji" and 27 hanja with the reading "min" on the South Korean government's official list of hanja which may be used in given names. Ji-min was South Korea's third-most popular name for baby girls in 2008, with 2,792 being given the name. Min-ji, also spelled Min-jee, is a Korean feminine given name. Its meaning differs based on the hanja used to write each syllable of the name. There are 27 hanja with the reading "min" and 46 hanja with the reading "ji" on the South Korean government's official list of hanja which may be used in given names. Min-ji was the fourth-most popular name for baby girls born in South Korea in 1990. Healer is a 2014-2015 South Korean television series starring Ji Chang-wook, Park Min-young and Yoo Ji-tae. It aired on KBS2 from December 8, 2014 to February 10, 2015 on Mondays and Tuesdays at 22:00 for 20 episodes. Cinderella with Four Knights is a South Korean television series starring Park So-dam, Jung Il-woo, Ahn Jae-hyun, Lee Jung-shin, Choi Min and Son Na-eun. It aired on tvN from August 12 to October 1, 2016. The Doctors is a 2016 South Korean medical drama starring Kim Rae-won and Park Shin-hye. It aired every Monday and Tuesday at 22:00 (KST) on SBS from June 20 to August 23, 2016 for 20 episodes. Because This Is My First Life is a 2017 South Korean television series starring Lee Min-ki and Jung So-min about different points of view on careers, relationships and marriage. The series marks Lee Min-ki's first small screen lead role since 2007. It aired on tvN every Monday and Tuesday from October 9 to November 28, 2017 at 21:30 KST. 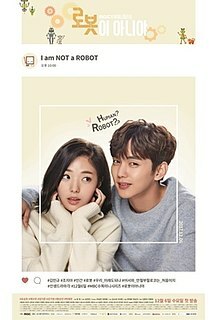 I'm Not a Robot is a South Korean television series starring Yoo Seung-ho, Chae Soo-bin and Um Ki-joon. It is written by Kim Sun-mi and directed by Jung Dae-yoon. Producing the series for MBC is May Queen Pictures. It aired on MBC from December 6, 2017 to January 25, 2018 on Wednesdays and Thursdays at 21:55 (KST) for 32 episodes. Children of a Lesser God is a South Korean television series starring Kang Ji-hwan and Kim Ok-bin. It is aired on OCN's Saturdays and Sundays at 22:20 (KST) time slot from March 3 to April 22, 2018. What's Wrong with Secretary Kim? is a 2018 South Korean television series starring Park Seo-joon and Park Min-young. It is based on the novel of the same title by Jung Kyung-yoon which was first published in 2013, which was then serialized into a comic in 2015 via KakaoPage. The series aired on tvN from June 6 to July 26, 2018, on Wednesdays and Thursdays for 16 episodes. South Korea participated in the 2018 Asian Games in Jakarta and Palembang, Indonesia from 18 August to 2 September 2018. It was the 18th appearance of the country at the Asian Games, except the first edition in Delhi. As one of the best competitors at the Games, South Korea's best achievement was in the 2002 Busan, with the acquisition of 96 gold, 80 silver and 84 bronze medals. At the latest edition in 2014 Incheon, the country had collected 79 gold, 71 silver, and 84 bronze medals. ↑ "배우 김지민, '내 아이디는 강남미인' 합류…차은우와 남매 호흡". TenAsia (in Korean). July 14, 2018. JYP Entertainment Corporation is one of the largest entertainment companies in South Korea. It was established by J. Y. Park in 1997. It operates as a record label, talent agency, music production company, event management and concert production company, and music publishing house. Notable artists include 2PM, JJ Project, 15&, Got7, Day6, Twice, Stray Kids, and Itzy. It has also handled Rain, G.O.D, Wonder Girls, 2AM, and Miss A. Founder Park continues to be involved with the music production scene. HanCinema is an independent South Korean Movie and Drama Database created by Cédric Collemine in 2003. 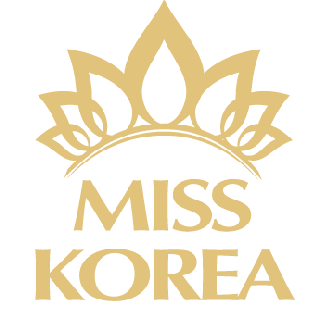 It provides information related to Korean movies, television dramas, actors, and other related information. It is aimed at non-South Korean audiences.